Posted on 13, March 2018 by EuropaWire PR Editors | This entry was posted in Agriculture, Banks, Energy, Gas & Oil, Financial, Food & Beverage, Netherlands and tagged Dutch development bank, FMO, loan, microfinance, Mr. Jeroen Harteveld, Mr. Michael Mithika, rural area, VFI, VisionFund International. Bookmark the permalink. THE HAGUE, 13-Mar-2018 — /EuropaWire/ — FMO, the Dutch development bank, has provided a five-year loan of USD 10 million to VisionFund International (VFI), a global microfinance organisation. This transaction will benefit the end clients of VFI’s microfinance institutions (MFIs) in Africa and Asia, with a focus on MFIs based in fragile states and countries in which access to finance is limited. This transaction aligns with VisionFund’s aim to improve livelihoods of families in underserved and rural areas. The investment is made through the MASSIF fund (“MASSIF”), which is managed by FMO on behalf of the Dutch government. MASSIF supports financial inclusion through its work with financial institutions, supporting them on their journey to empower women, young people and rural entrepreneurs in low income countries and fragile and conflict-affected states. MASSIF furthermore aims to stimulate financial innovation with a view to broadening access to finance. This is the second senior loan between FMO and VFI. More recently, FMO further partnered with VFI by supporting its development of the Climate Insurance programme ARDIS, which benefits African and Asian Smallholder Farmers. 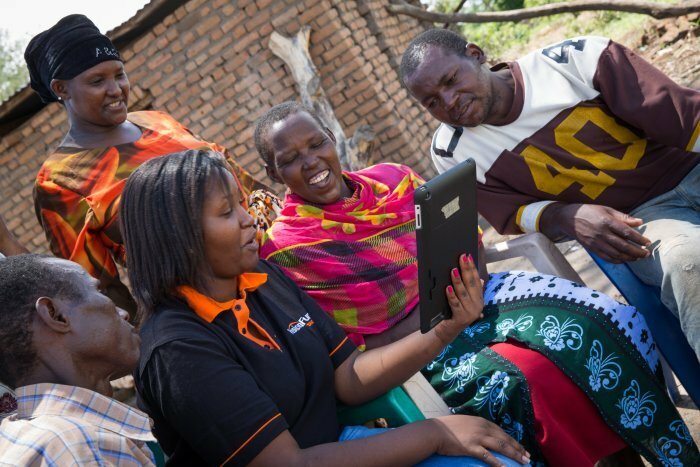 VisionFund International, World Vision’s microfinance arm, has been improving the lives of children in the developing world for more than a decade. By offering small loans and other financial services, its clients develop successful businesses, enabling their children to grow up healthy and educated. In 2016, VisionFund International MFIs provided 1.4 million loans, with nearly three-quarters of these going to women, and over half to clients actively involved in farming. Repayment rates were 98%. Also in 2016, 4.3 million children were impacted through its MFI network located across more than 30 countries in Africa, Latin America, Asia, and Eastern Europe.